In the film Divergent (2014), the society is divided into five factions that each person in that society must choose from when they reach a certain age, and they must commit to that faction for life. To help determine which faction each individual fits into as they mature into adults, each of them take aptitude tests. Each faction represents a different human virtue. Abnegation the selfless, Dauntless the brave, Erudite the intelligent, Candor the honest, and Amity the peaceful. Tris Prior, however, does not fit into any of these factions. She fits into Abnegation, Dauntless, and Erudite. Therefore, she is Divergent. The film is focused around Tris Prior and her journey through this society, and into the civil war. Which broke out between disagreements on what should be done with the Divergent population and the true meaning behind this cohort. In the film Divergent (2014), the leader of Erudite, Jeanine Mathews came to the conclusion that the Divergent population are a threat to their society. This leads to her entire faction supporting her and her decision to overthrow the Abnegation. I believe this is an example of groupthink (Sanderson, pgs. 301-303) because the entire faction sides with Jeannine Mathews and they do not dissent her decision. They also have unanimity in their opinions of Abnegation and of the Divergent. I believe that the Erudite came to these conclusions because of their biased perceptions against the Divergent. None of them, however, have known an openly Divergent individual. For instance, Jeanine Mathews claims that Divergents want to destroy society, and that their entire existence goes against nature. All of which align with mirror-image perception (Sanderson, pg. 308). She says this because they do not fit into one faction but do sometimes fit into or with multiple factions, and therefore even Divergent individuals could also see Erudite as destroying society, and going against nature. However, the other factor leading to the events was the hostile media phenomenon (Sanderson, pg. 309) because the Candor-run media published news that was biased against the Abnegation. The Candor-run media was making accusations about abuse and neglect in the faction that happened to align with rumors started by the Erudite. Finally, in the film Divergent (2014), the Erudite revolted and raised an army to attack the Abnegation. They did this by using the Dauntless faction as their pawns, and also as their soldiers. Again through groupthink, the Dauntless leaders decided to align with Jeanine Mathews and use a so-called “serum” on their own faction members. 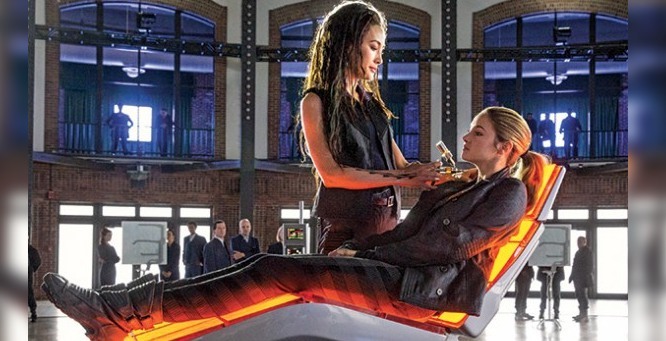 This so-called “serum” did two things, made the faction members who were not found to be worthy of elite titles to go into a simulation and to find out the Divergent population in Dauntless who were immune to the so-called “serum.” These Dauntless murdered all the Divergent found within their ranks. I believe this is an example of deindividuation (Sanderson, pgs. 295-297) because they would not have behaved that way if they were not in a large group. 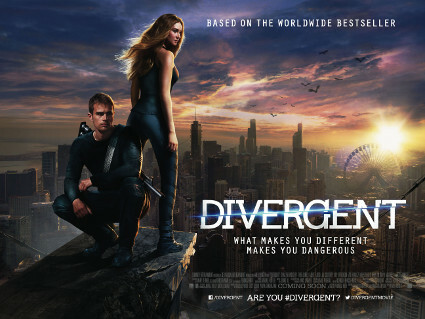 I have read all of the books in the Divergent series and watched this specific film about six times. Thus, now, I must say that watching it again in a social psychological perspective it did change how I looked at this film. I saw underline themes that I did not pick up on before, such as how it discusses aggression, group process on decisions, and even factors that lead to conflict. The film also made a mental impact on me when it comes to deindividuation and murder or war. I think the film Divergent (2014), was done well in catching themes for discussion on group influence, specifically deindividuation, groupthink, power of leadership, and biased perceptions. If one looked at this film differently than I did, they could possibly have seen a different set of themes to discuss. I chose group influence because of the faction system set up in their society, which inherently had problems. Thus, I looked at the social psychological problems caused by that system. I would recommend the entire Divergent series for students to watch. Divergent (2014) especially, because of how it sets up the playing field with explaining the factions and because of what I said before about how there are other themes than the one I choice to look at. Previous Unicameral Needs Your Voice on LB586, WorkPlace Protections.